is it upgrading or downgrading the Katalon Studio? It’s showing as Version 4.1.0 from the IDE, which is running on mac. I just did the normal upgrade from 5.8.3 to 5.8.6 from my IDE running in Mac 10.13.6. And when I open it after the upgrade, it’s showing 4.1.0 and I cannot check upgrade anymore from the IDE. Any recommendation how to proceed? BTW, is it really running on 4.1.0 now? Or just the version number got messed up? 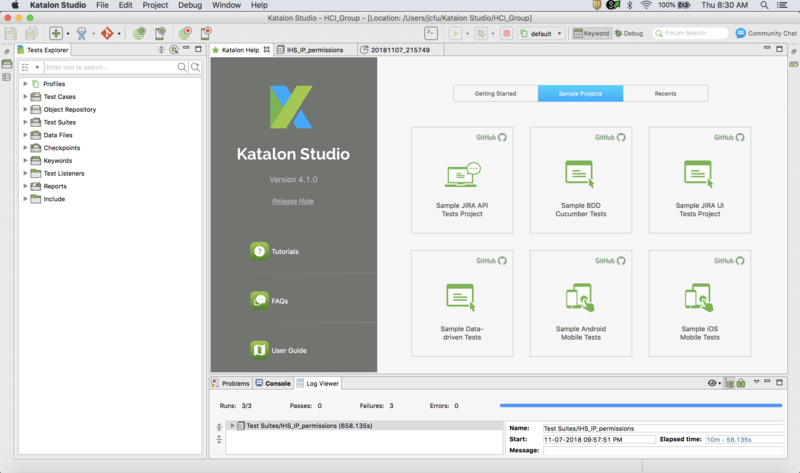 BTW, is there a way to check if the Katalon Studio is actually running on latest version? Same problem here, on OSX 10.13.6. Downloaded latest version from website and installed it over the updated version. Shows correct version number now. We will double check again about this issue. From our perspective view, it’s just an issue of version’s number is not correct.